Near Phoenix, this facility is located right off 60 Highway in Glendale, AZ. From Bethany Square to Casitas Gonzales, this Glendale, AZ storage facility is the perfect home away from home for nearby residents. And mere minutes away, students at Grand Canyon University can keep everything from textbooks to seasonal items here at Central Self Storage. 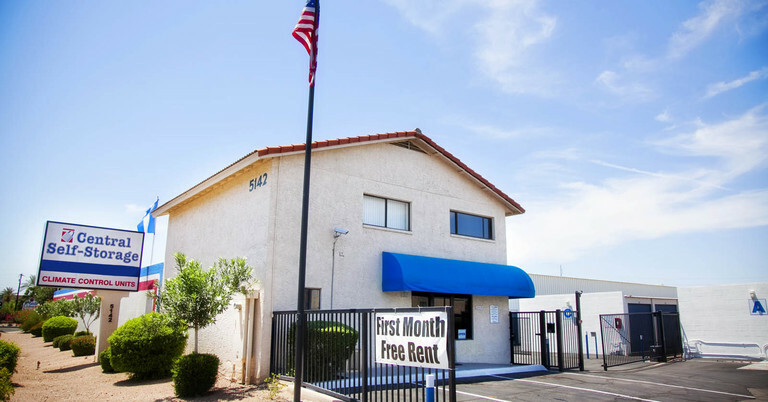 Businesses in Ski Phoenix Business Center or the Bonanza Industrial District can also take advantage of Glendale, AZ self storage by decluttering offices and organizing documents. 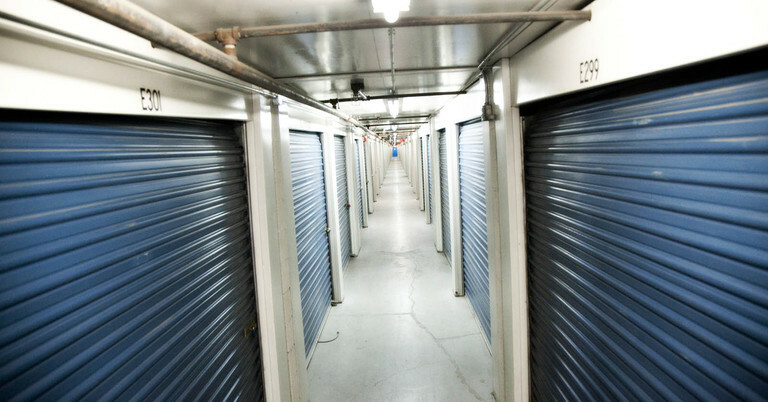 No matter your needs, Central Self Storage has the self storage unit for you. Ranging in sizes from 25 square feet up to 600 square feet, you can have enough extra space for a few filing cabinets or the contents of an entire apartment. Our month-to-month rentals also make renting a storage unit easy, whether you’re moving homes or looking for a long-term storage solution. You can rest easy knowing your valuables are kept under video surveillance, proper deterrent lighting, and behind electronic gates. But our security features aren’t all that you’ll love. With amenities like self-service kiosks available 24/7, storing your belongings will fit into your busy schedule; and our online payment portal makes paying rent as easy as 1-2-click. We’re your one-stop storage shop with a professional staff, moving truck rentals, and available packing and moving supplies. Your satisfaction is our utmost goal. 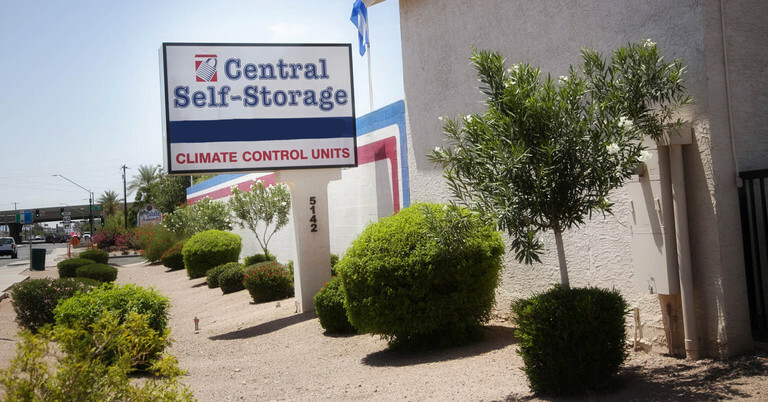 At Central Self Storage, you can have self storage your way. Contact us today to learn about our available units! Follow our driving directions to reach our self storage facility in Glendale, AZ. This particular location is under new management and my customer service representative was Jose. He was fantastic. Although he is new to the job and still in training, I never would have known. My situation was of an urgent and somewhat complicated nature. Start to finish, I only had a very short window of opportunity in which to process my paperwork, fax over proof of insurance, sign off on agreements, rent a moving truck, select a storage unit, get things loaded, transported and unloaded etc. I had less than 3 hours start to finish. I reserved online and when I walked in I was the only one in the office. Jose was by himself. About 15 minutes into my transaction however, another customer came in to pay their rent. They quickly became disgruntled after learning that I too was a â€œpaying customerâ€ and they would have to wait their turn. Their ongoing displays of extreme impatience did nothing but add stress to the situation. However, in spite of this customers continued annoyance, rather than get flustered, Jose really saved the day. He not only treated us BOTH with dignity at all times, he kept his composure and professionalism all along the way. So imagine my surprise at learning that he was NEW to the job! I will definitely tell a friend about this facility. Staff is very nice and always helpful. Units always clean. Love this place. Would highly recommend them. Lights did not work in upstairs halway, like a haunted house. Central Self Storage in Glendale would like to make life easier for our existing customers who store with us! From the comforts of your own home or office you can make a payment or set up a recurring payment, rent another unit, change an address, ask us to accept a delivery for you, or advise us when you may need to leave us. Please click on a link below for which service you need us to provide. 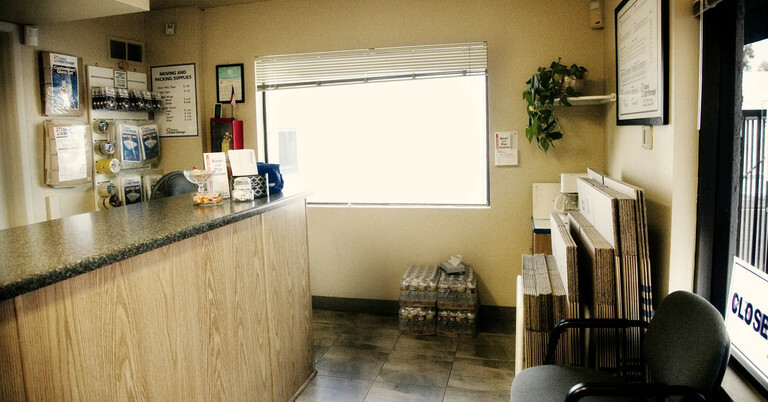 You can email the form directly to our manager on-site or mail the form to our Glendale self storage facility.